Raymond L. Brox, 95, died peacefully at home surrounded by his loving family on March 22, 2019. He was the beloved husband of the late Dorothea (Kaatz) Brox, with whom he celebrated their 65th wedding anniversary this past October. Ray was the youngest and last surviving sibling of nine born to Charles and Margaret (Kasouf) Brox, both Lebanese immigrants who settled in Dracut, Mass., and started Brox Farm in 1902. It was there at the farm that he was born on April 26, 1923. His youth was spent working the farm with his family and attending public schools in Dracut, graduating from Dracut High School in 1942. He was a former vice president of Brox Industries, a paving and construction materials company founded by his brother George in 1947. Raymond was also known for his golf course and ski areas he operated. In the late 1940s, he operated the Kenwood Ski Slope in Dracut. Soon after, Lowell native Ralph Bean, owner of the Waterville Inn, enlisted Ray to expand and operate the ski area in Waterville Valley, N.H. They formed a partnership and throughout the 1950s and early ’60s made many improvements, most notably in 1952, when they acquired a used T-bar lift from Colorado. The 1,700-foot lift was transported across the country and reassembled in Waterville, and was one of the first major ski lift relocations in U.S. history. Ray and Ralph also purchased one of the first Tucker Sno-Cats in the country, which was used to groom the new trails and carry skiers across the valley to the base of Tecumseh Trail. In 1968, Ray and Dotty with his brothers Frank and John founded the Hickory Hill Golf Course in Methuen, Mass. The 18-hole course was designed by Manny Francis. Ray was running the golf course and supervising quarry plants for Brox Industries until his retirement to Sun Valley, Idaho. His later years were spent traveling, golfing, skiing and hiking with Dotty and his family. Hickory Hill Golf Course celebrated its 50th anniversary last year and remains family-run. Beginning with the farm, his brother’s business and then with his own business, family came first to Ray. Over the years, there were always at least two relatives working together on different ventures. For decades, he could be found every Sunday enjoying breakfast at the clubhouse with family and friends. With Ray’s passing, so goes the last of his generation born in the farmhouse on Broadway Road, in Dracut. The Brox Farm remains a fixture there and will open this spring for its 117th season, a lasting testament to his parents and all of his siblings who planted the seeds long ago. Ray is survived by his children, Eric (Debra) Brox, Nancy Brox, William (Julie) Brox and Peter Brox; his grandchildren Georgia Brox and Sophia Brox; in-laws Harriet Previte and William (Lucille) Kaatz; and numerous nieces and nephews. 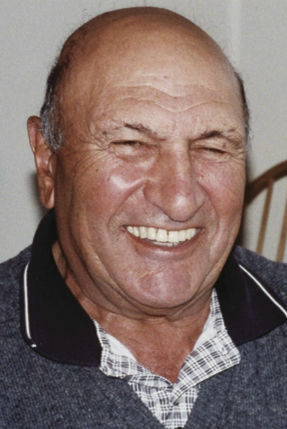 In addition to his wife, he was predeceased by his grandchildren Raymond Richard and Nancy Zoe Brox; sisters-in-law Antoinette, Gladys, Eleanor, Frances and Priscilla Brox and Evelyn (Zygmunt) Tomkiewicz; brother-in-law Albert Previte; and his eight siblings, sisters Adele and Bertha Brox and brothers Joseph, George, Frank, John, Stanley and Albert Brox.